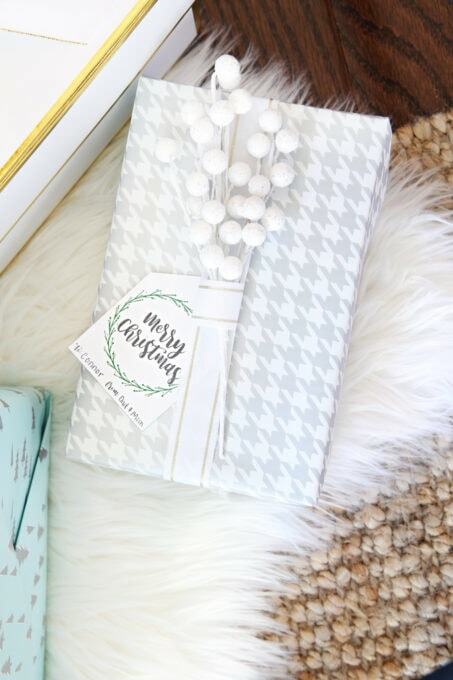 These pretty, neutral free printable holiday gift tags are the perfect way to top presents for friends, family, and loved ones this Christmas season! 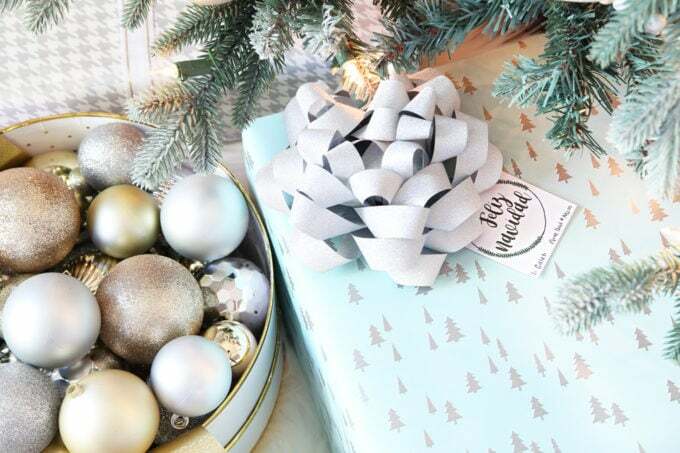 ‘Tis the season for gifting, and I’ve been on a little gift wrapping kick lately! 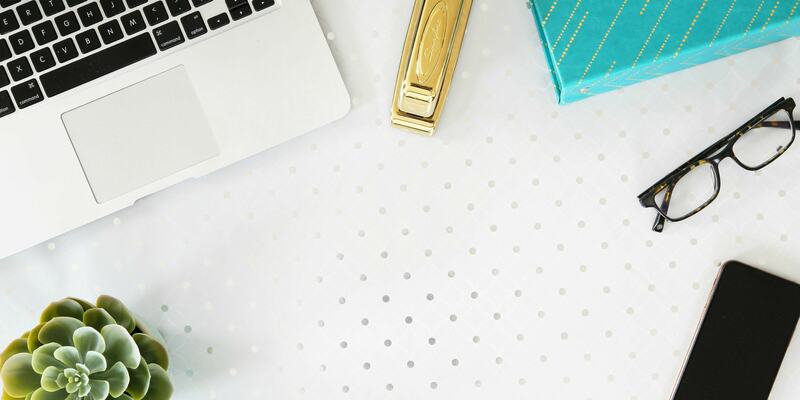 On Tuesday I shared my organized gift wrap station, and today I have some pretty (and free!) 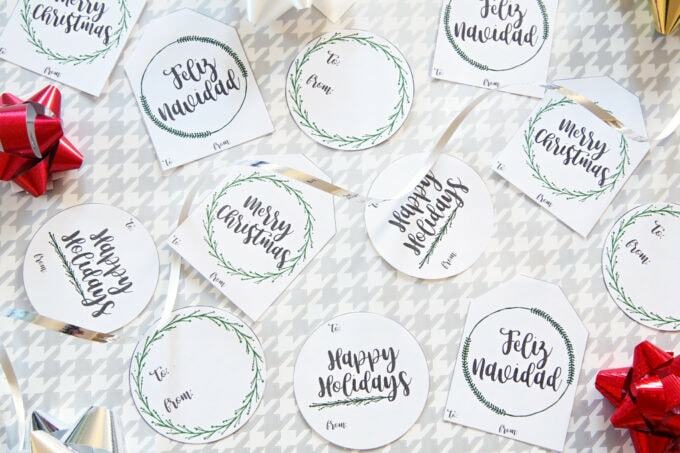 printable holiday gift tags just for you! 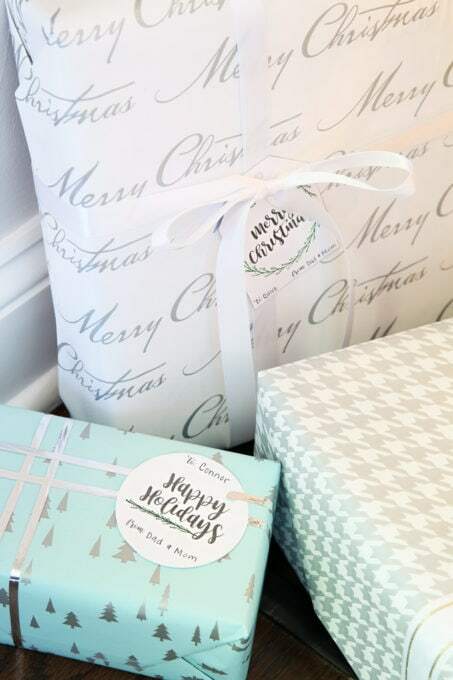 I tried to keep the tags pretty neutral so that they could work with many different styles and colors of gift wrap, and there are four different designs, so you can choose your favorite one or use a mix of all of them! They’ll be the perfect topper on all of your gifts this year! Click here to download the free printable holiday gift tags! I decided to leave red out of our Christmas color scheme this year, and I wasn’t sure how I would feel about it. I may be ready for red again next year, but now that our tree is up and decorated and there are some wrapped gifts underneath, I am loving how calming and soothing the neutrals and light colors are this season! Next week I’ll be back with our Christmas home tour to share more of our holiday home! I kept it pretty simple this year, but I love adding little touches that make the house feel festive! I hope you enjoy these little gift tags! Again, you can download them here. Oh Abby I love these!! I was wondering last night what to do for tags since I’d used all of mine last year. Thanks so much for sharing. Aw yay! So glad they will be helpful, Amy! Hope you’re having a great week! Thank you, can I ask where you found the wrapping paper? I love it! Thanks for the gift tags! Enjoy Seattle. I used to live in Oregon and miss it so much now. The smell of fresh Christmas trees is always in the air in the PNW. I look forward to hearing how it was! Thank you, Abby. These are great! Greetings from Ecuador! 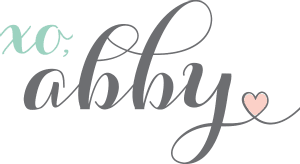 Hi Abby, thanks for the tags! And especially for the “Feliz Navidad” one. I don’t know if you had thought about it, but some of your readers are from countries in which Spanish is the official language, just like mine! So that tag will be the most useful for me and others 🙂 Have a nice week!